Need extra money to attend a writers’ conference? To cover research expenses for your next project? To sustain your writing career? Many grant opportunities await the enterprising writer. Learn about some of them, the best practices for applying, the elements of a proposal, what funders and reviewers want to see, and how to present the proposal to the funder. 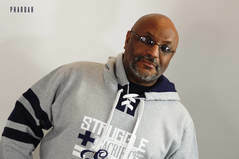 MAURICE BROADDUS is an Indianapolis-based community organizer and teacher. His work has appeared in magazines like Lightspeed Magazine, Weird Tales, Beneath Ceaseless Skies, Asimov’s, Cemetery Dance, Uncanny Magazine, with some of his stories having been collected in The Voices of Martyrs. His books include the urban fantasy trilogy, The Knights of Breton Court. And the (upcoming) middle grade detective novel, The Usual Suspects. His latest novella is Buffalo Soldier. As an editor, he’s worked on Dark Faith, Dark Faith: Invocations, Streets of Shadows, People of Colo(u)r Destroy Horror, and Apex Magazine. Learn more at MauriceBroaddus.com. Will Higgins is going to talk about some of his favorite stories he wrote for the Star... how he found them, his experiences with the various sources, responses the stories got, and some of the surprises. When you die, will someone claim you? Will Higgins writes about topics such as: historic preservation, professional wrestling, book banning, the custom of discharging weapons into the air on New Year's Eve and, one time, a deceased pimp.